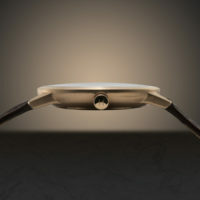 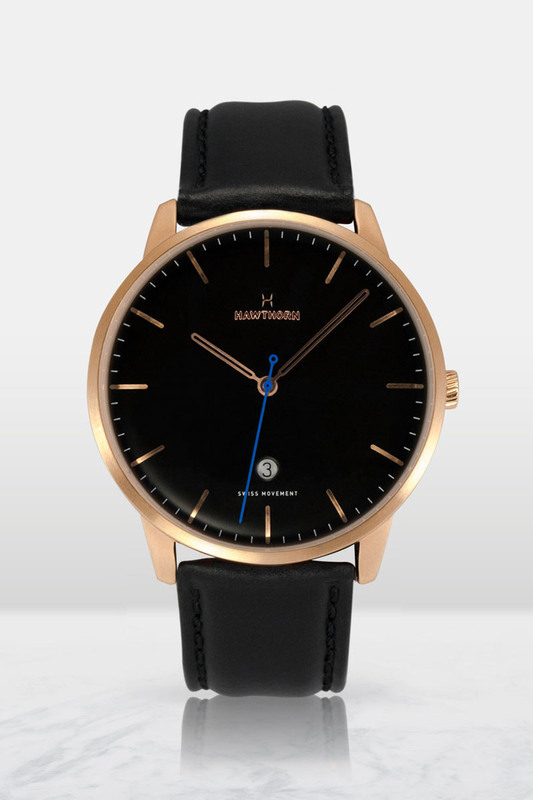 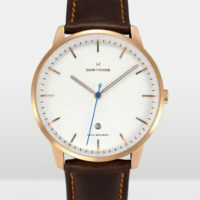 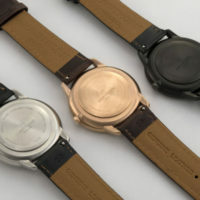 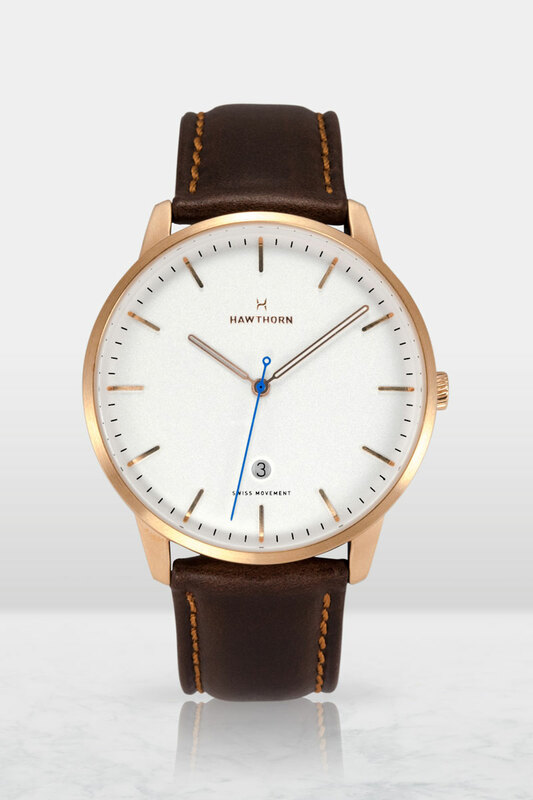 The Hemingway Classic - Rose Gold/White - Hawthorn Watch Co. 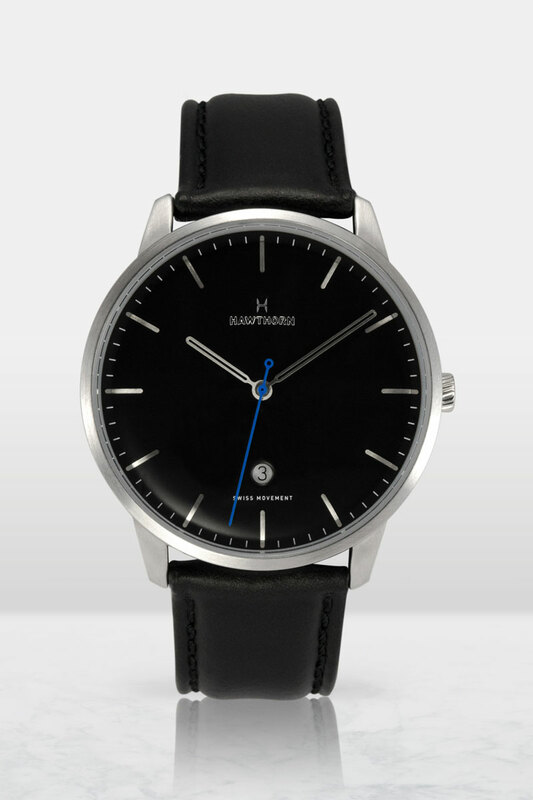 Inspired by the watches of the 50’s and 60’s, the Hemingway Classic was meticulously designed to evoke a modern, yet vintage, aesthetic. 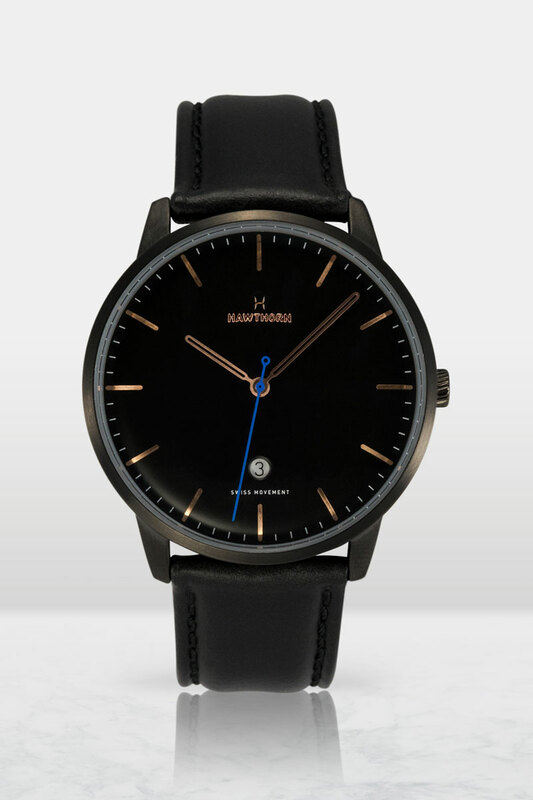 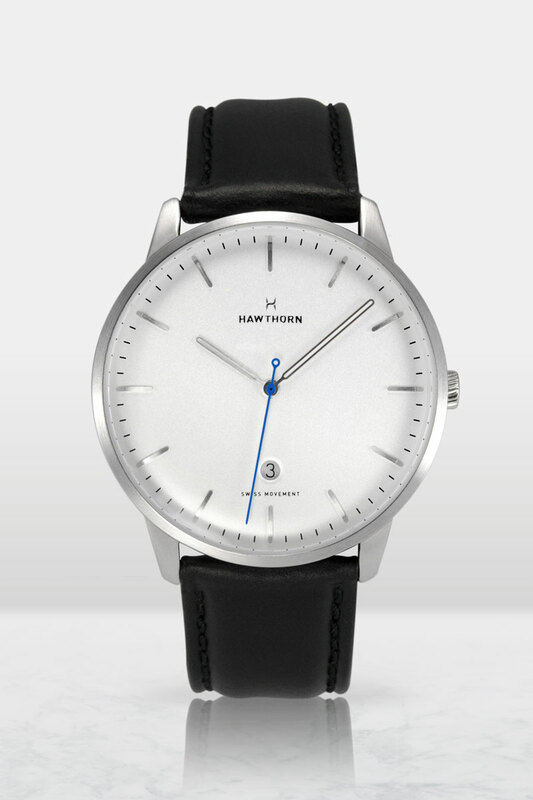 The domed dial and hollow hands give this watch a unique look that will help you stand out from the crowd.